Why Dr. Peter Hotez Cares About The Worm Diseases That The World Neglects : Goats and Soda Scientist Peter Hotez has spent nearly 40 years trying to treat and eliminate the diseases that worms can cause. And he won't let the "ick" factor stop him. Some people in the global health sector call him "Bono with a bow tie." 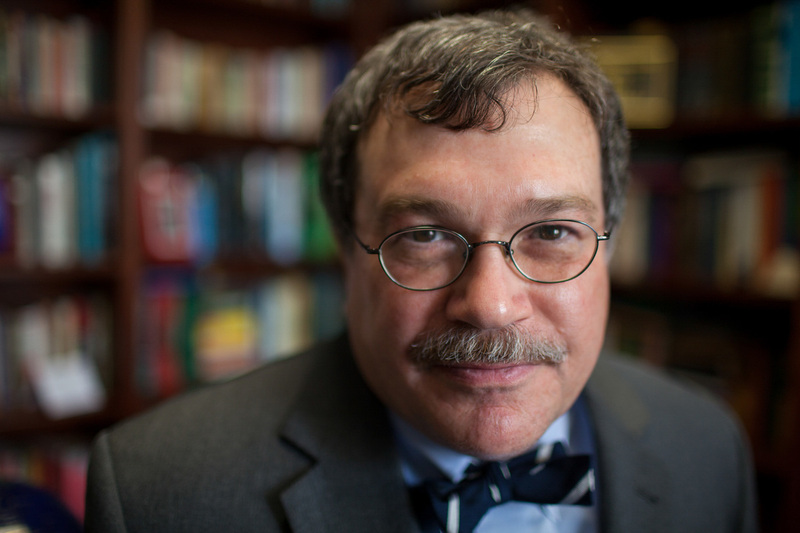 Dr. Peter Hotez in his office at the Baylor College of Medicine in Houston. "Some diseases have Bono or Angelina Jolie as their champions, but hookworm has only Peter Hotez." That's what scientist and pediatrician Peter Hotez said about himself in a 2010 book, The Imaginations Of Unreasonable Men. So he's not ... modest. But ask people in the world of global health about his work to end diseases caused by hookworm and other parasitic worms and they'll agree with his self-assessment. 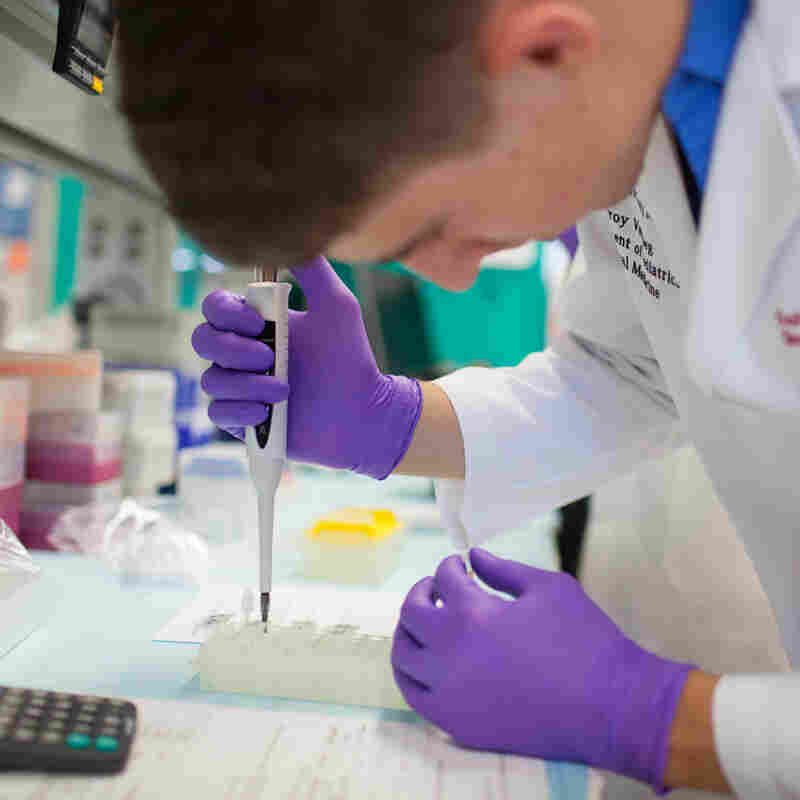 "He almost single-handedly put these diseases on the map," says Jennifer Kates, vice president and director of global health at the Kaiser Family Foundation, a health policy research group. "His research and scientific expertise has made a global impact — not just in the U.S. but at the World Health Organization and elsewhere." That's why some people in the field, taking note of his neckwear, call him "Bono with a bow tie." For nearly 40 years, Hotez has crusaded against parasitic worms, a sometimes lonely job. They affect nearly 1.5 billion people on the planet, making children too sick to go to school and adults too sick to work. But there's been a lack of funding and interest for research into treatments. 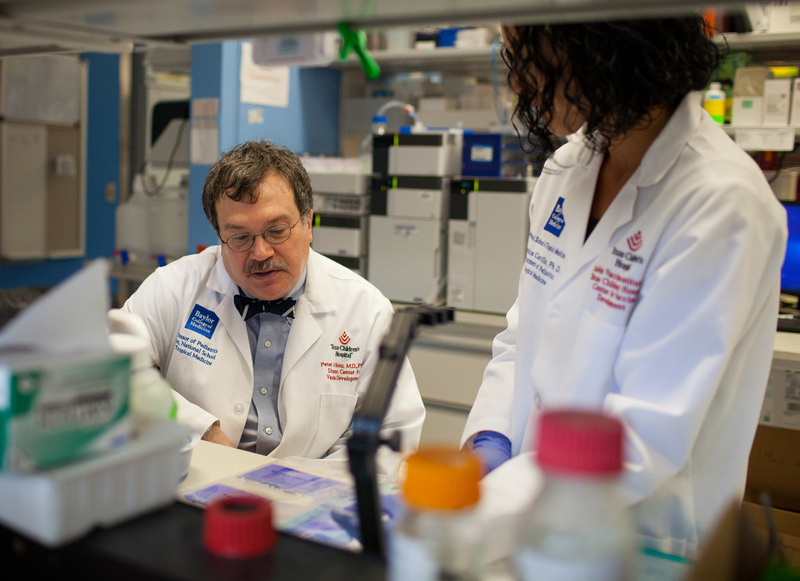 Today, Hotez leads some of the world's biggest efforts to fight worm diseases. As president of the Sabin Vaccine Institute, he and his team are developing the first vaccines for hookworm, an intestinal parasite that affects 700 million people worldwide, as well as schistosomiasis. Spread by worms that live within freshwater snails, this disease can result in damage to the liver, intestines, bladder and lungs. His projects receive funding from the Bill and Melinda Gates Foundation, which as many of our readers know, is a funder of NPR and this blog. When he's not in the lab or in grant meetings, Hotez plays the role of advocate and spokesperson. When he felt that the global health community was giving parasitic diseases the short shrift in the early aughts, he helped rebrand them by coming up with a catchy way to describe them: "neglected tropical diseases." It stuck, and now the term is used globally. Hotez, dean of the National School of Tropical Medicine at the Baylor College of Medicine, talked to Goats and Soda about the state of parasitic worm diseases today, an emerging worm disease in the U.S., and how he gets over the "ick factor" in his work. This interview has been edited for length and clarity. Hotez and Berenice Carrillo in the lab at Texas Children's Hospital. Among the diseases they're researching is river blindness, transmitted through the bite of a black fly infected with parasitic worms. Forty years of worms! You have to love something about them. What is it? It's a very tangible pathogen — one that you can actually see and touch, unaided by technology. What makes worm diseases different from other afflictions of the poor, like HIV/AIDS and malaria? HIV/AIDS and malaria are killer diseases. Worm [diseases] generally are not. So then what's the urgency? 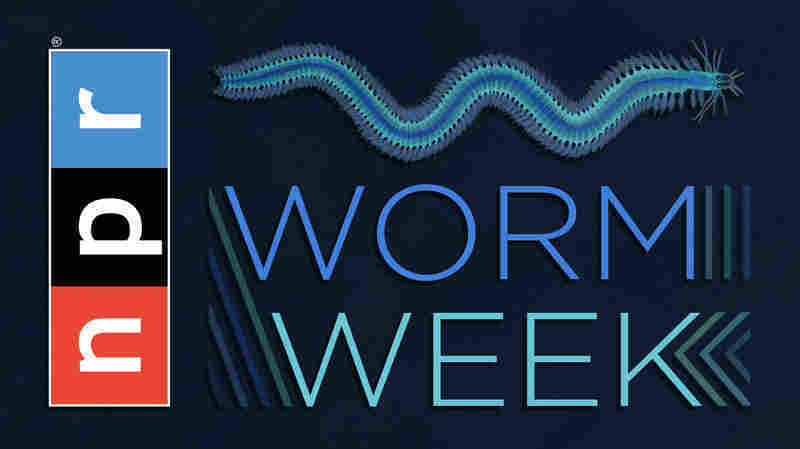 Worm infections are the most common afflictions of the world's poor in places like Asia and Africa. They are what trap the bottom billion in poverty. They prevent people from obtaining their full economic potential. We know, for example, that India loses $1 billion annually from lymphatic filariasis [which causes elephantiasis, the swelling of limbs and genitalia]. And chronic hookworm in children reduces future wage earnings by 40 percent. Connor Dillon, a research intern at the Baylor College of Medicine, conducts tests as part of a worm vaccine project. How do people in poor countries become infected with parasitic worms? Worms attack at all sorts of body point entries. You can get them swimming and bathing. They're in the water. The soil is teeming with them. You can even find [roundworm] eggs [which causes intestinal infections in humans] in currency. There are very few things you can do to prevent worms if you're living in a poor country. How did you get into worms in the first place? I wanted to study parasitic worms ever since I was in college. I was fascinated by the science, the far-off lands and how common [worms] were. Yet no one seemed to care. Early on, I had a humanitarian drive for science. Growing up, I had an uncle who was a rabbi who taught me the concept of tikkun olam, repairing the world. It became apparent to me that doing something about worms was a unique way to "repair the world" that no one else was pursuing. In 2005, you helped launch the rapid-impact package, a cocktail of drugs taken once a year that helps the immune system fight off worm diseases. It's contributed to a 30 to 40 percent reduction in elephantiasis, river blindness and trachoma, and a 25 percent reduction in ascariasis. It's now helped treat nearly half a billion people on the planet. I can't take all the credit for that, but I certainly have a role in that. In 2006, when I was invited to speak about the rapid-impact package at the Clinton Global Initiative, people were talking about horrific global problems that had no obvious solution. But the rapid-impact package was something we could do [to fight worm diseases] for the cost of a cup of coffee — 50 cents a person a year. People were thrilled at the concept, and realized it was a game changer in public health. It's very gratifying to see how far we've come. It's also scary to see how far we have to go. So what's next? What's on the top of the priority list? Only 40 percent of the world's population [that need it] is receiving the rapid-impact package. There's a need to scale that up. Pharmaceutical companies are donating the drugs, but we need countries to support its administration, too. That's been tough. Now we're worried about hookworm [disease] and schistosomiasis. We haven't made much of a dent in those diseases. The strategy is to continue applying the package and develop the vaccines. The hookworm vaccine, which aims to prevent infection in children, has been 16 years in the making. Should we be optimistic about it — and about the potential schistosomiasis vaccine? The vaccines will do the final elimination for the two diseases that the rapid-impact package can't [get rid of]. It's been a slow process because we haven't gotten the level of funding to do all we need to develop the vaccine. But if we had the funding, we could go a lot faster. Another five years of investment could be a game changer in terms of moving forward with a licensed vaccine. As Albert Sabin [the medical researcher who developed the polio vaccine] said, "A scientist who is also a human being cannot rest while knowledge which might be used to reduce suffering rests on the shelf." There's evidence that schistosomiasis infections increase the likelihood of contracting HIV/AIDS. And worm infections have been shown to make people more vulnerable to diseases like anemia and cancer. Have these links changed the way we fight parasitic worms? It hasn't made the impact I hoped. When it came to light that schistosomiasis [contributes] to the HIV epidemic — because the parasite's eggs produce lesions in the genital tract of girls and women, turning it into a [channel] for the virus — I thought the world would rush to support rapid-impact package and our vaccine for schistosomiasis. What happened is that there has been total silence. It's a huge disappointment, how the AIDS community and others have gotten very siloed. Although people are doing a lot of good, there isn't a lot of cross-talk in global health. Tell me something surprising about worm diseases. They affect the poor living in the U.S. There's a disease called toxocariasis [a parasitic worm infection of the brain that results from ingesting the eggs of a worm species called Toxocara, shed by dogs and cats]. According to the U.S. Centers for Disease Control, about 20 percent of African Americans living in poverty are infected with the disease. There have been some studies linking toxocariasis to developmental delays and cognitive deficits. In a  article for the Journal of the American Medical Association, I asked the question: Could it be that toxocara explains why kids who are socioeconomically disadvantaged don't do well in school? It looks as though it does, but it hasn't been conclusively demonstrated. There's an urgent need to do large studies, but that hasn't been done. We've got billions of dollars for Ebola, which is important for West Africa, but as far as I know, there's not a single National Institutes of Health grant for toxocariasis. It's a neglected problem. We have to ask: How do you get over the ick factor in your work? We don't have time to worry about the ick. There's billions of people who live with the ick every day. If they can do it, I can do it.